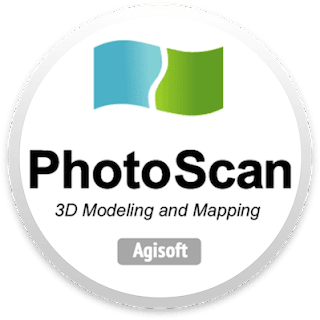 Agisoft PhotoScan Professional 1.4.0.5650 Portable ~ Apps2Portable | Free Portable Apps for PC ! Agisoft PhotoScan is a stand-alone software product that performs photogrammetric processing of digital images and generates 3D spatial data. Wisely implemented digital photogrammetry technique enforced with computer vision methods. Throughout various case studies PhotoScan proves to produce quality and accurate results. - Processing of various types of imagery: aerial (nadir, oblique) / close-range. - Auto calibration: frame (incl. fish-eye) / spherical cameras. - Multi camera projects support. - Elaborate model editing for accurate results. - Points classification to customize geometry reconstruction. - .LAS export to benefit from classical point data processing workflow. - Digital Surface and/or Digital Terrain Model - depending on the project. - Georeferncing based on EXIF meta data / flight log: GPS / GCPs data. - EPSG registry coordinate systems support: WGS84, UTM, etc. - Georeferenced orthomosaic: most-GIS-compatible GeoTIFF format; .KML file to be located on Google Earth. - Export in blocks for huge projects. - Color correction for homogeneous texture. - Inbuilt tools to measure distances, areas and volumes. - To perform more sophisticated metric analysis PhotoScan products can be smoothly transferred to external tools thanks to a variety of export formats. - GCPs import to control accuracy of the results. - Coded / non-coded targets auto detection for fast GCPs input. - Scale bar tool to set reference distance without implementation of positioning equipment. - intermediate processing results inspection; etc. - RGB / NIR / thermal / multispectral imagery processing. - Fast reconstruction based on preferable channel. - Multi channel orthomosaic export for further NDVI calculation and analysis. - Various scenes: archaeological sites, artifacts, buildings, interiors, people, etc. - Direct upload to Verold and Sketchfab resources. - Texture: HDR and multi file, for super detailed visualization. - Multi camera station data processing for creative projects in cinematographic art, game industry, etc. - Basis for numerous visual effects with 3D models reconstructed in time sequence. - 3D reconstruction for data captured from the same camera position - camera station, provided that at least 2 camera stations are present. - 360° panorama stitching for one camera station data. - Distributed calculations over a computer network to use combined power of multiple nodes for huge data sets processing in one project.